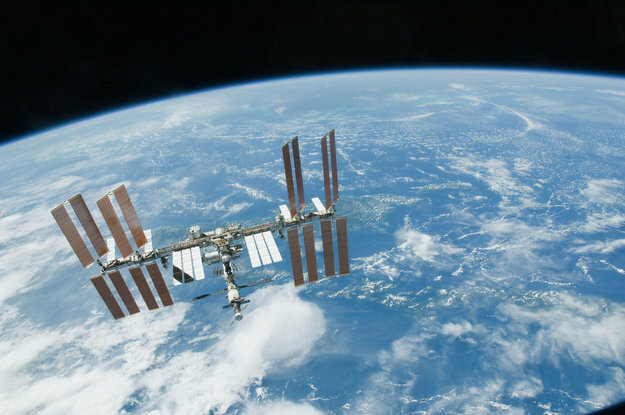 Her Majesty the Queen of Denmark awarded ESA astronaut Andreas Mogensen the Royal Medal of Recompense in crown gold with inscription. 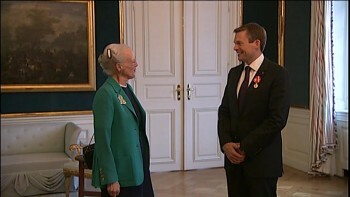 “It has been a great honour and I am very very proud”, said Andreas who told the press that receiving an invitation from the Queen and meeting her was a great surprise. 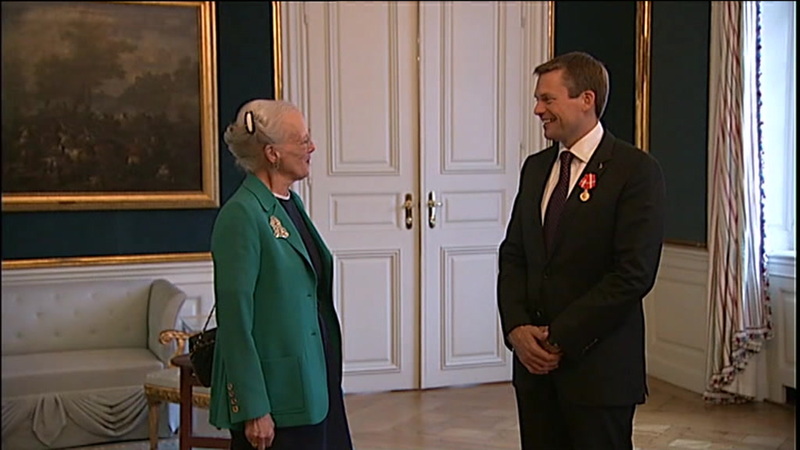 The Queen received the Danish astronaut in Christian VII’s Palace, Amalienborg, in Copenhagen. The Royal Medal of Recompense in crown gold and inscription was established in 1865 by King Christian IX in both gold and silver. Since 1889 the m0edal has been awarded in four versions: silver, silver crown, gold and gold crown. 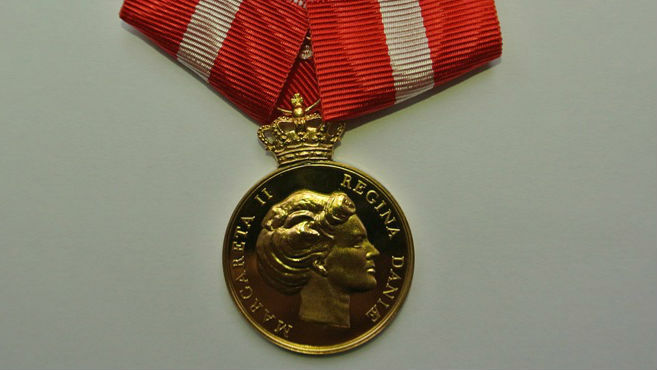 The first three are used today as a reward medal for long-term employees in the private sector. 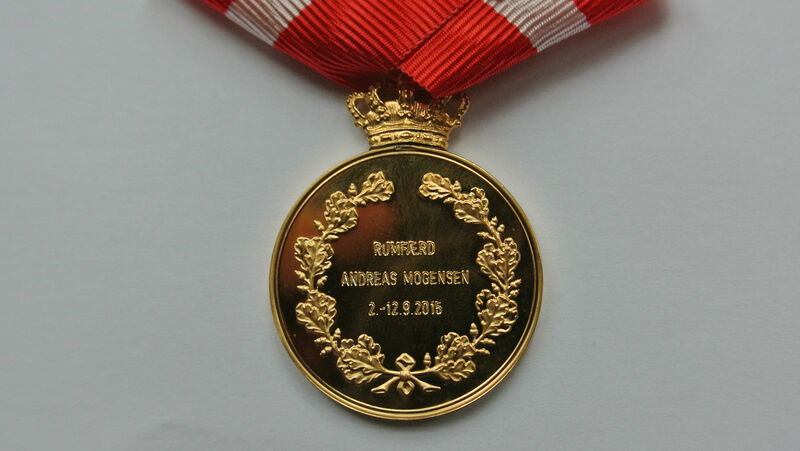 The medal in gold crown with inscription on the back is used as appreciation of an extraordinary, one-off effort, it is rarely awarded and even more rare with an inscription. Its last award was to a sergeant for extraordinary efforts during the war in Croatia in 1993.